Sarah-Jane Perry was the first player through to the finals with a straight-game win over Tesni Evans, maintaining her impressive head-to-head record against Wales’ British Champion. The English fourth seed dominated the first two games with Evans struggling to recapture the form that saw her beat top seed Laura Massaro in the semis. 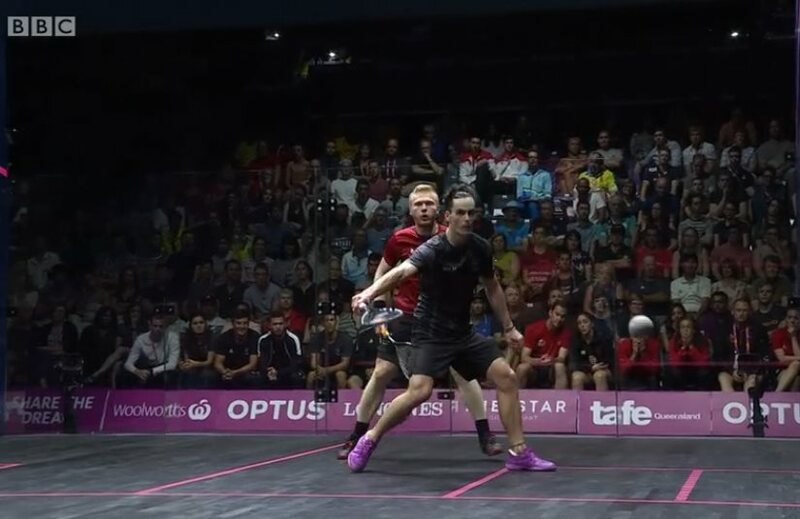 The third was closer, with Evans keeping pace up to 8-all, but Perry finished strongly, taking the match with Evans sprawled against the side wall in a vain effort to extend the match. More English success followed as James Willstrop reached a third Commonwealth Games final in a row as he beat Nafiizwan Adnan in straight games. The first two games were long, punishing and high-quality affairs, 15 and 20 minutes long. Willstrop pulled away from 4-all to take the first and recovered from 5-8 in the second to double his lead . After a tough opening to the third, from 3-all the second seed raced through to clinch his place in the final. “I didn’t know what to expect really,” explained the former world number one and twice a silver medallist. “I was just trying to work on each phase, the first few rallies, the first few points – then see how it feels when you get the first game up. It’s just the performance really. 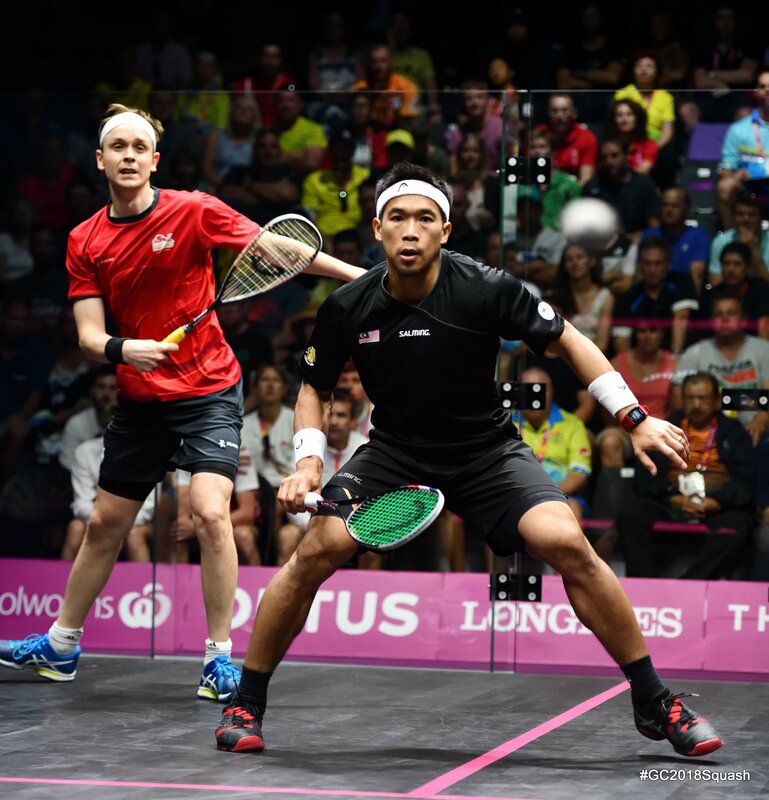 New Zealand’s Joelle King stopped Nicol David‘s hopes of a third Singles Gold medal in a row as she beat the Malaysian in four fast paced games. King had the lead in the first game, and managed to hold off David’s comeback in extra points, then dominated the second. David came out flying in the third, almost literally running rings around King as she blitzed through the game. The Kiwi reasserted in the fourth though, surging ahead and reaching the final with a delighted roar. “It’s a pretty amazing atmosphere in here,” said King. 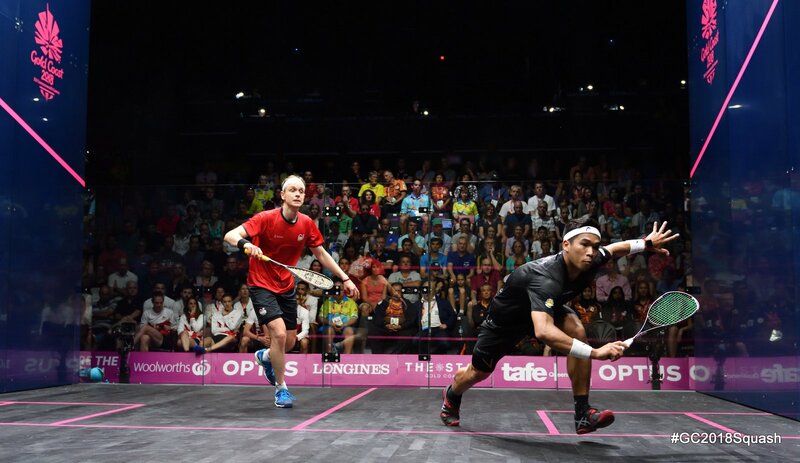 “”Someone like Nicol can pick up the ball from everywhere, but I felt like I was hitting my targets well. 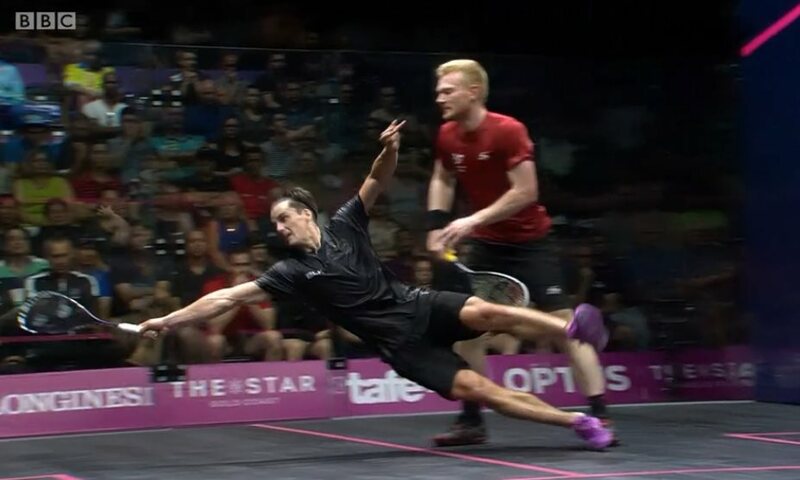 Paul Coll made it a Kiwi double as he came from two games down to beat Wales’ Joel Makin in another marathon affair. The opening three games were all 20 minutes or more, but aftter Coll edged the third he surged through the fourth to set up the decider. Makin took an early 5-2 lead but Coll recovered to lead 8-6 and 9-7. A rare error from the Welshman brought up match ball, and when the video referee gave a ‘no let’ on the last point Coll was in the final. 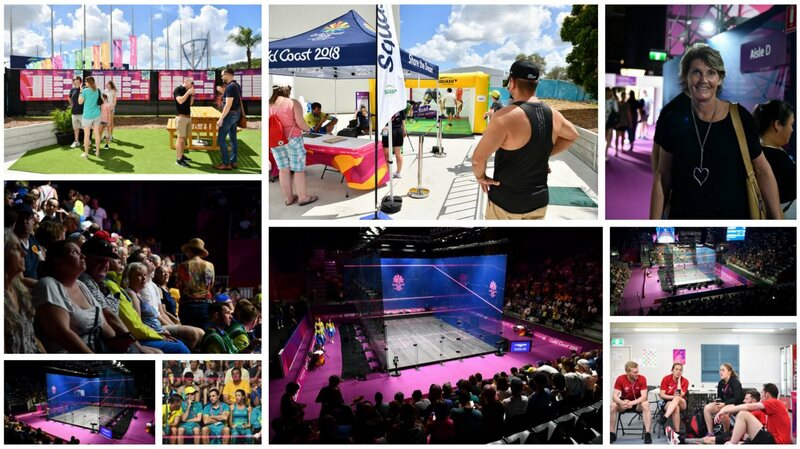 You can follow the action on the CG Live Scores page, via game by game updates on our Twitter Feed, and watch live through various channels (in the UK it’s on the BBC Sport app and website).